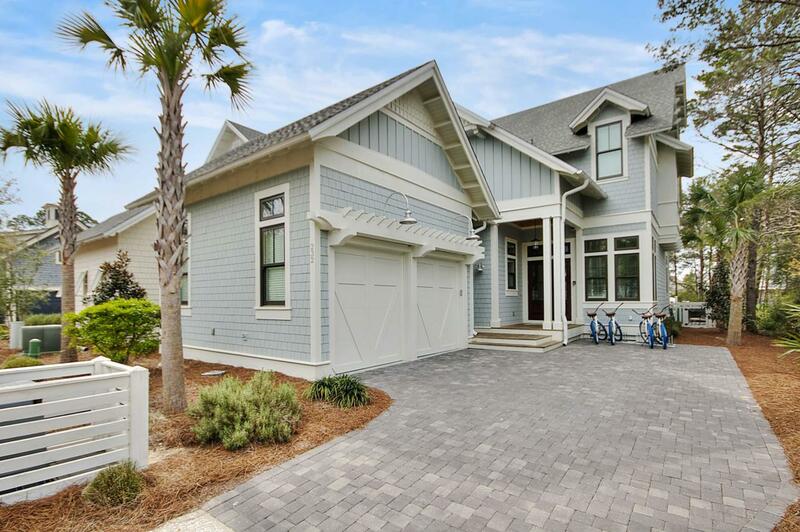 At Watersound you will find a community with boardwalks winding through the dunes to lead you to a mile of Beachfront along the emerald green and blue waters of the Gulf. This 4 Bedroom/4.5 Bath Home provides a wonderful place for friends and family to gather. It welcomes you into an open floor plan with a large gourmet kitchen and island which flows into the vaulted ceiling with dining and living space focused around a tabby fireplace. French doors then open to a screen porch the width of the house which sits on one of the conservation areas. You will find the Master on the main with 3 bedrooms and additional living space on the 2nd floor. This home has it all with a pool and upstairs wet bar. There is storage galore, and it is located in the heart of the community. A Great Retreat!